Sometimes it can be difficult to get the amount of water each day, but it doesn’t have to be so difficult. This infographic takes the guesswork out of water so that you just get the excellent health benefits. 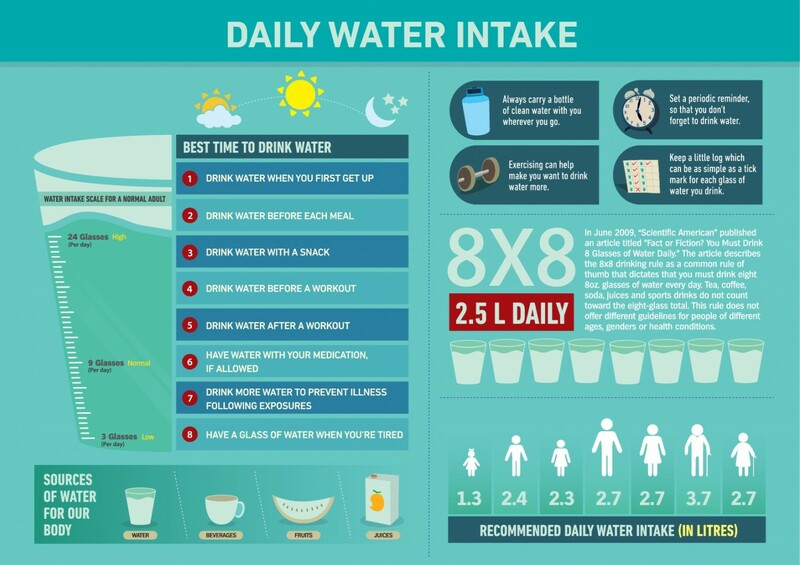 Find out when the best times to drink water are, the amount of water you need each day, and different ways that we can get water besides simply drinking it with this great infographic all about getting your daily dose of water.